Hello! Welcome back to our August Inspiration hops! 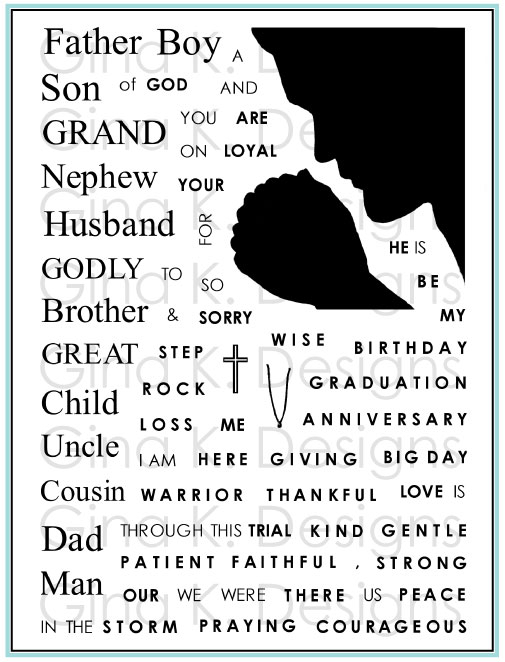 We are giving away a $50 gift certificate again today! 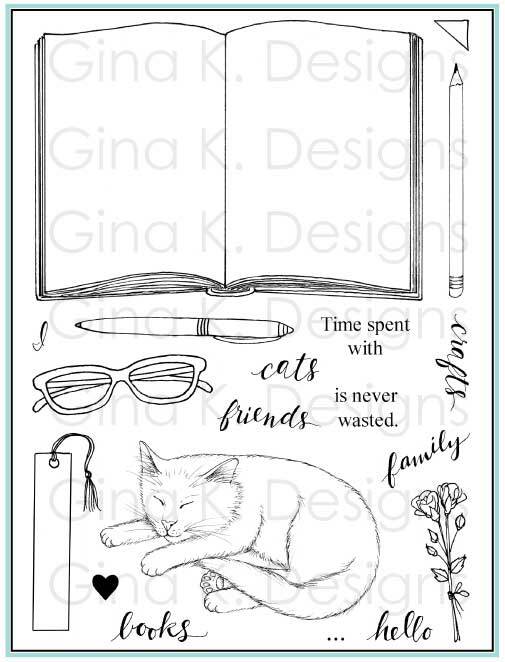 Each comment you leave as you hop through the blogs will be entered as chance to win the gift certificate to the Gina K. Designs store. Winners from this week's hops will be announced in a few days in the StampTV Big News Forum. This month's new Holiday Wreath Builder set has some really gorgeous elements and greetings in it that inspired me to do something other than a wreath! 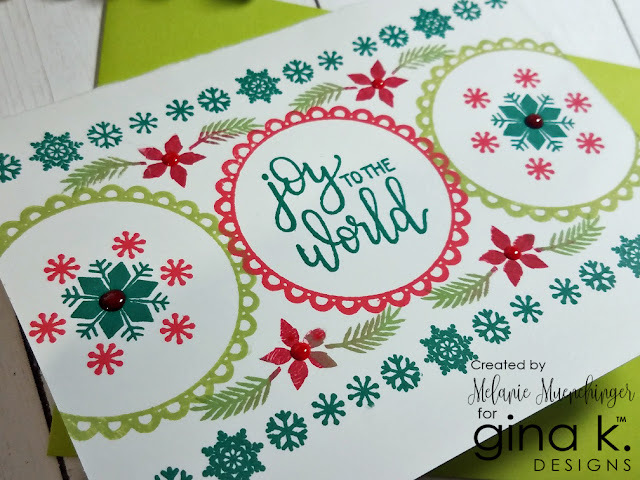 I love the scalloped circle frame, so I repeated that three times, in GKD Red Velvet and Jellybean Green, then stamped a border (again, three times, starting in the middle and then on either side), and the large snowflakes and greeting in GKD Christmas Pine. I added a few swags in the red and green, carefully inking directly to the stamp with the two colors before stamping, and then added the smaller snowflakes in red around the large green ones. I finished of this single layer card with some Red Berry Nuvo Crystal Drops to accent the flakes and flowers. Envelope is coordinating GKD JellyBean Green. The Holiday Wreath Builder also works great with my Holiday Frame! 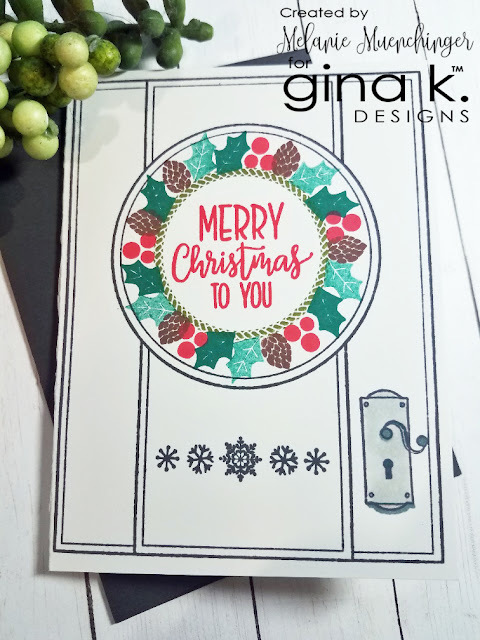 I stamped up a festive door (in GKD Slate) with the frame, centering the builder frame inside in Fresh Asparagus, then stamped the holly, pine cones and berries by hand instead of using the MISTI or wreath builder template, just using the stamped ring as my guide (Christmas Pine holly, full strength and then stamped off, Red Velvet and Dark Chocolate) Since I put the greeting in the center of the wreath, I added the snowflake border across the center below just to fill in the white space and add interest, and then added the door handle element from my coordinating Holiday Frame Fillers set and color it in with a lighter gray marker. 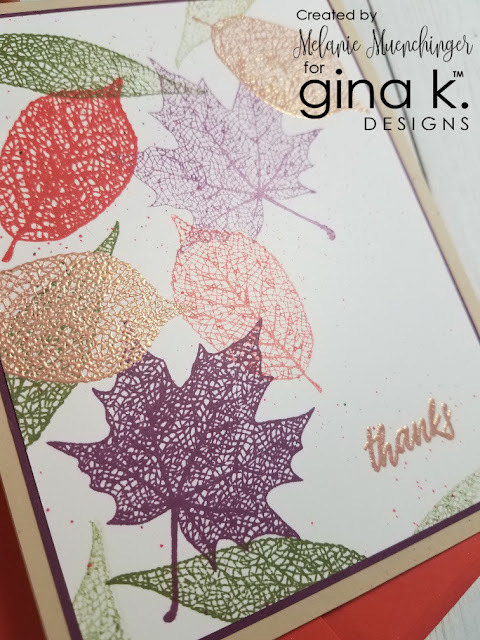 I used the GKD 2018 Add On Ink Cube collection spots to stamp the leaves (Plum Punch, Coral Reef) plus Fresh Asparagus on white Pure Luxury, and then in Versamark to emboss just a few leaves plus the sentiment with GKD Rose Gold embossing powder. 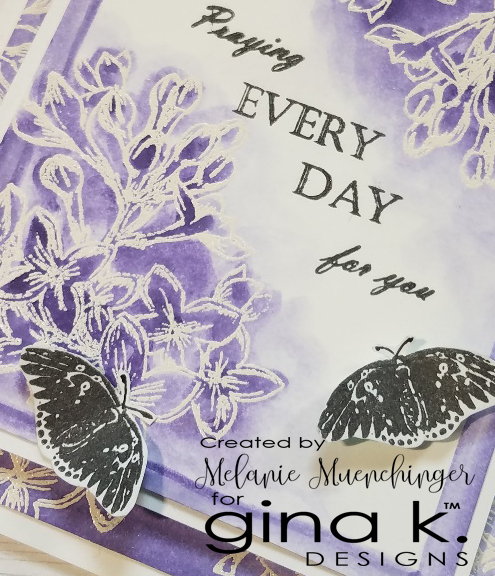 This mat is layered on GKD Plum Punch and a GKD Sandy Beach Pure Luxury card base. Colored envelope is coordinating GKD Coral Reef. Now let's go see what the rest of the design team has with these two sets! Don't forget to comment for your chance to win! 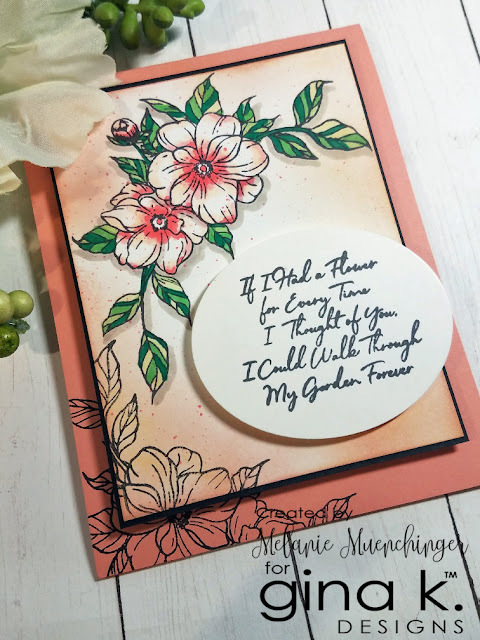 Thank you in advance for your sweet feedback! Hello! Welcome to the first day of our August Inspiration hop! 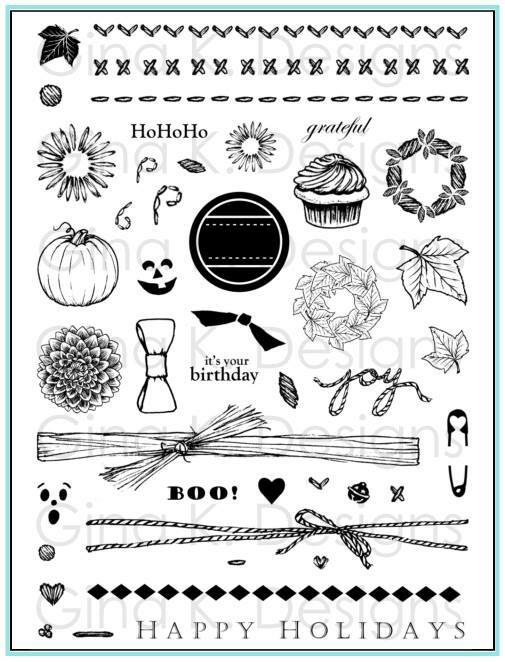 Today we are showcasing new stamp sets by Hannah Schroepfer and Emily Loggans. 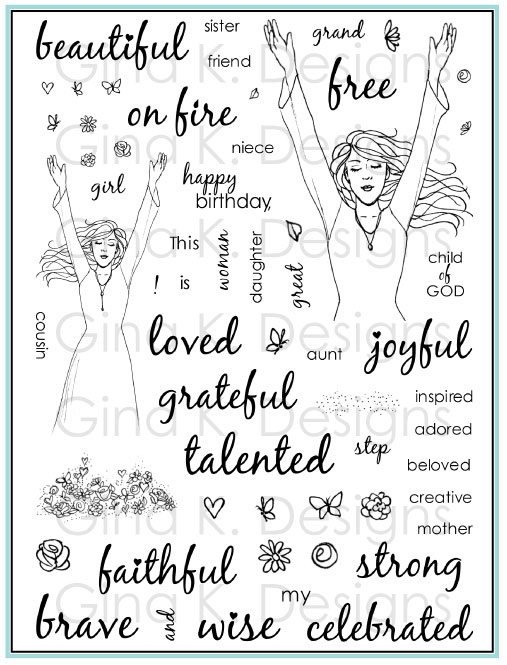 We will give away a $50 gift certificate each day, so be sure to comment on the blogs as you hop through! Each comment counts as one entry! Winners will be announced in the StampTV Big News forum a few days after the hops conclude. 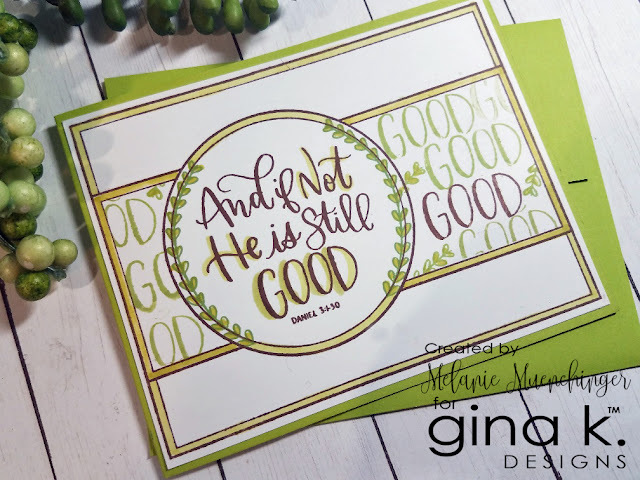 I love the sentiments in Emily's new Thankful and Blessed set! It also comes with the wreath swags to perfectly frame each beautiful, handwritten greeting, and I noticed both the sentiments and branches were just right for adding to the circle window in my Holiday Frame! Yay! Love these new options! 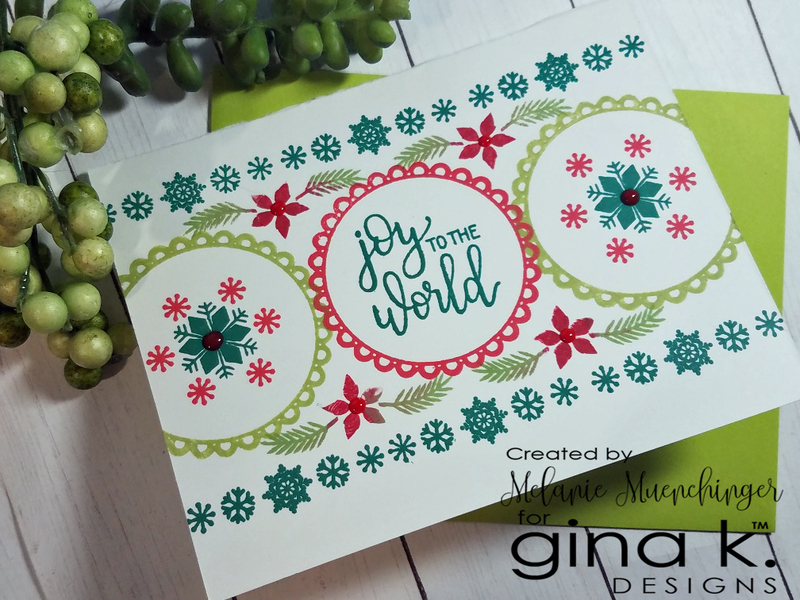 After stamping the frame in GKD Dark Chocolate, I stamped the wreath in GKD Jellybean Green on the edge of the circle. I used a marker to color in the leaves and above and below each swag. I used the same marker to color in the rest of the frame s borders. 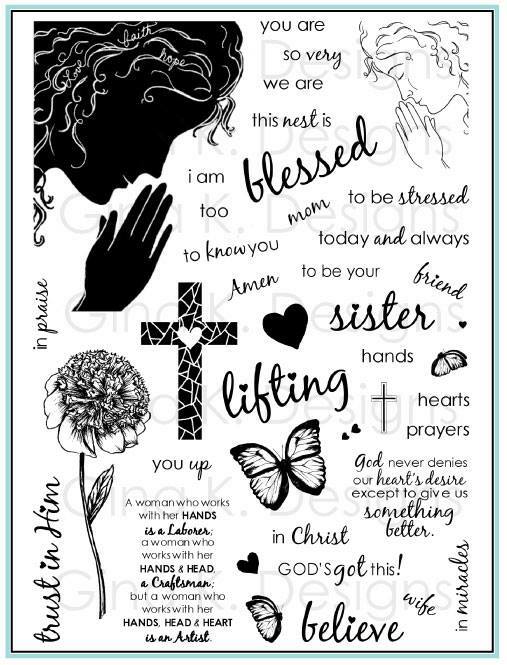 Then, after cleaning the greeting stamp really well, and masking off around the frames middle belly band section, I repeatedly inked up just the GOOD from the scripture and stamped it over and over in the same colors to make my own background! GOOD times 10! Any little open areas I filled in with just a bit from the leafy branch. I also traced a few choice words from the verse with the green to make them stand out. Envelope is GKD Jellybean Green. 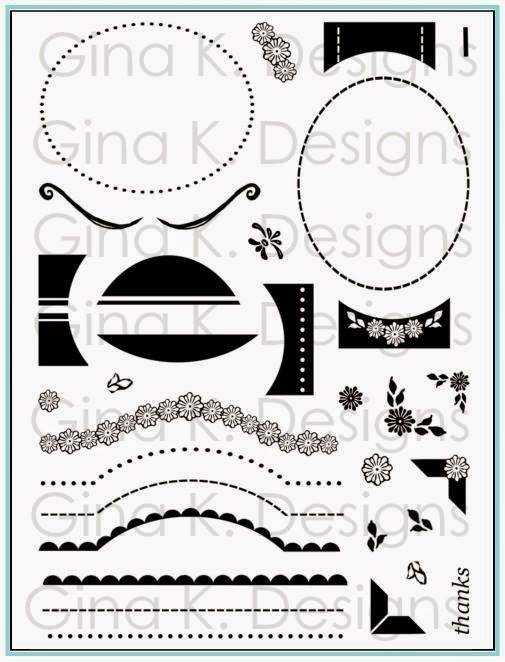 Next, I have a sample with Hannah's Whimsical Wild Flowers. I stamped the flower element on white cardstock in GKD Jet Black Amalgam, and then colored in the sections of the leaves with different greens to look more like stained glass (you know, since they're "whimsical"?!) I used a few Spectrum Noir alcohol markers to shade the flowers. 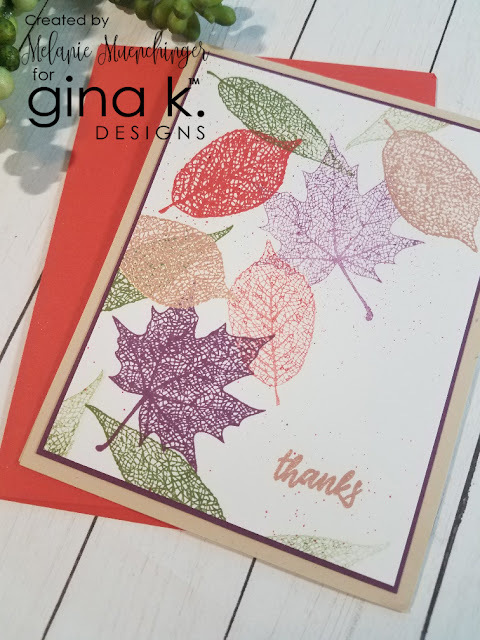 I tapped the darker marker a few items to splatter the background and then sponged on a bit of GKD Peach Bellini to match the card base. 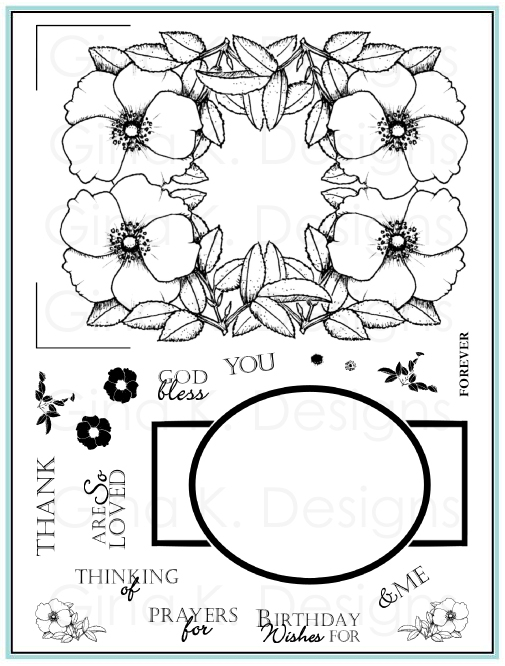 I added a GKD Black Onyx mat and stamped the flower one more time onto the base to line up with the uncolored flowers at the bottom left. 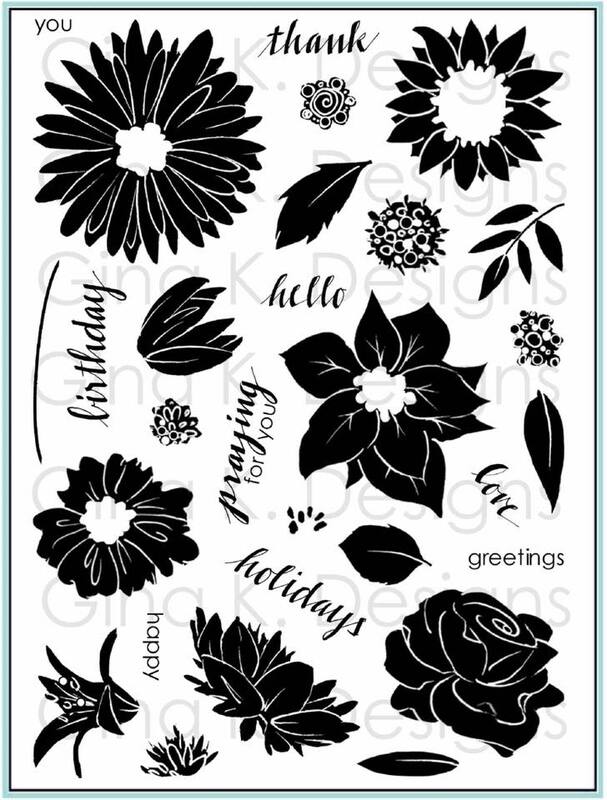 I have a GKD Black Onyx mat and stamped the flower one more time onto the base to line up with the uncolored flowers at the bottom left. 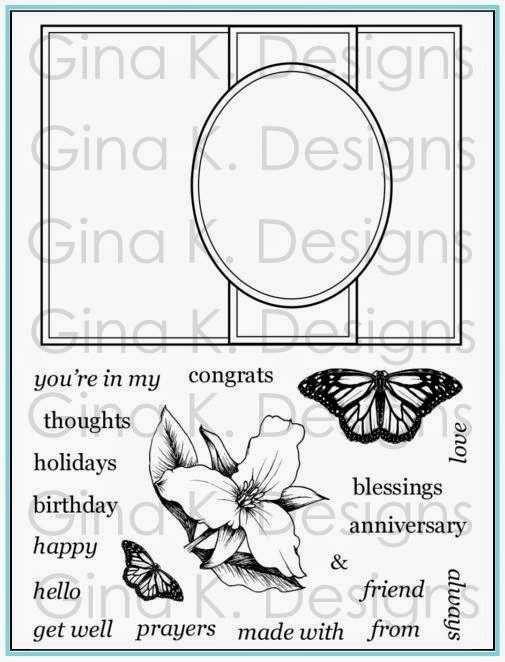 I stamped the greeting and cut it out with the oval from my Fabulous Label die set. This is popped up on foam squares. Let's go see what the rest of the team made with these wonderful sets! 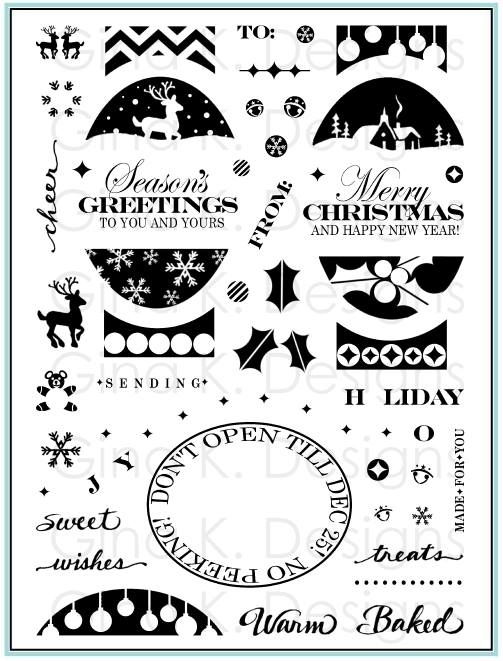 Remember to comment for a chance to win a gift certificate! Hey, everyone! 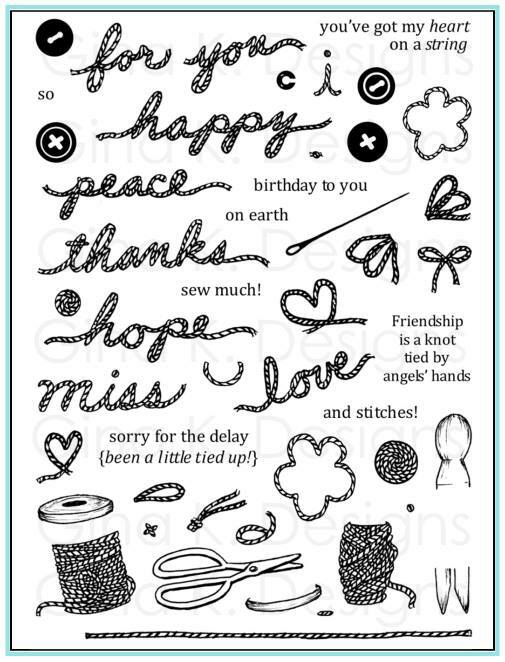 I am excited to be guest designing for the Simon Says Stamp blog today! You can find my video this week in that post. 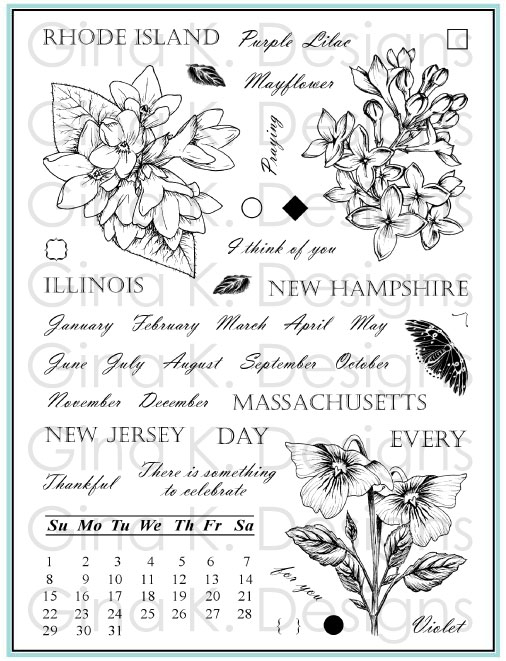 Here is a peek, using Stately Flowers 12 and Peerless Watercolors, both of which can be found in the Simon Say Stamp Store. Please enjoy the tutorial and I hope it inspires! looking forward to reading your comments there!